A lot of us may not be aware that there are certain expenses that can actually Save Taxes for you. 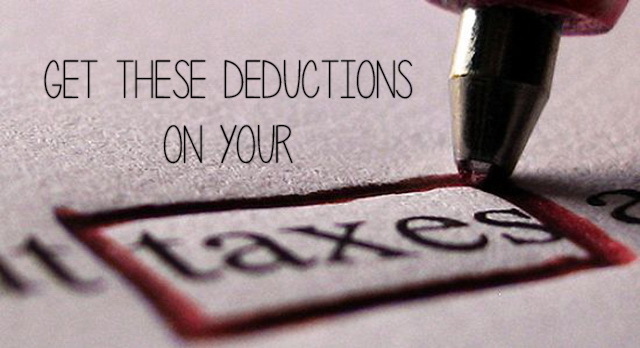 Check this post to find out the various expenses that you can claim tax deductions on. It is that time of the year when the New Year is just beginning to sink in and the party hangovers are fading and the ground reality hits you. Its year end; no not the calendar year but the financial year and as the financial year comes closer to the end, we realize, we will be taxed! So now we scamper for tax-saving options. Anything that can save tax will do for most. We call our friends and colleagues to ask what they have done to save tax this year and often do the same. Forget following others, some of us don’t even bother to do anything with regards to tax saving and assume that the CA will do some trick in your returns and manage to get you a refund. The reality is there is no magic. You should have planned a little ahead to really benefit from the tax saving investments too. 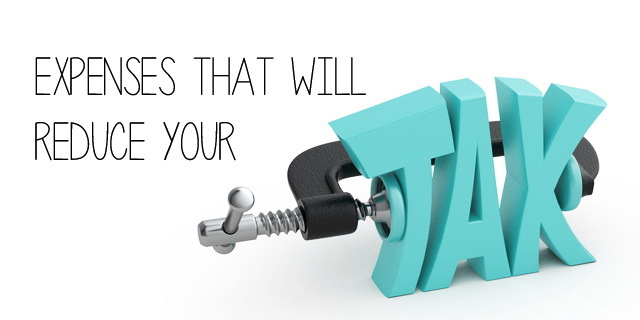 But, in case you didn’t, then here are some incurred expenses that can save you taxes. Your kid’s tuition fees can help you save taxes under section 80C up to the limit of Rs. 1 Lac. However the thing to note is you can claim only for tuition fees paid for maximum two children. So if you have more than two kids, then their fees will not be considered. Also even if the total fee for both children exceeds Rs. 1 Lac, the surplus amount will not be considered for tax deductions. The thing to remember is fees of only full-time courses of Indian Institutes are eligible and any other expense like transport, accommodation, coaching classes etc will not be entertained. A lot of you may be aware of this that even if you do not have the provision of HRA in your salaries or you are self employed individual, then you can still get tax benefit for the house rent you pay for living. You cannot claim the entire amount as the amount needs to be least of the following conditions, Rs. 2000 flat, or Total Rent paid less 10% of Total Income or 25% of Total Income. Whichever of the 3 conditions comes to a lower amount is deductible from your taxable income. You will need a rent receipt for the same and also the house cannot be a self-occupied one, nor should you have a home in the area of your current rented accommodation. Interestingly, you can pay rent to your parents if you stay in their home. This is possible if they do not have any other source of income or their total income from all sources is not taxable, or else the rental income will be taxable in their income. If you have incurred short-term capital losses on equity investments, either stocks or equity mutual funds, you can adjust it against any long-term or short capital gain on sale of property, gold, debt funds etc. This can save tax for you. You can even carry forward these losses for up to 8 years. If you have made any donation to a political party then you can claim this amount as tax rebate under section 80GGC. However the donation needs to be to the party office and any cash donated is not eligible. If you donated any amount to charitable organizations then again you can claim that amount for tax deduction under section 80G. If you have made any donation to scientific research or rural development organizations, then you are eligible for tax deduction under section 80GGA. The amounts cannot be more than 10% of your gross annual income. Such organizations will give you a stamped receipt that you can show along with your returns. If you have a dependent that is undergoing treatment for certain diseases or illness specified under the section 80DDB of the Income tax act, then you can claim tax rebate up to Rs. 40,000 or Rs. 60,000 in case of a dependent senior citizen. In case there is a dependent suffering from disability, you can claim tax rebate up to Rs. 50,000 for partial disability and up to Rs. 1 Lac for severe disability. You would need a medical certificate from a competent medical practitioner to be submitted along with your returns. The dependent however means your spouse, children, parents or siblings only. This one applies to self-employed professionals or businessmen who would require a certain asset to carry on their occupation. For instance a graphic designer, web developer will require a Computer for his/her profession. Hence the investment made towards buying this asset can help save you tax. You cannot claim the entire amount though. You can claim depreciation on the reducing balance method till the value of the asset is nil or you sell off the asset. Apart from the above, the common expenses that can help us save tax, which almost all of us know are the EMI on Home Loans, Education Loans, Premiums paid towards Life and Health Insurance. These are some of the common expenses or losses that you may have incurred in the financial year, that can actually help to reduce your tax liability. Be aware of your rights and the legal and legitimate options to save tax. Do not evade taxes or run away from them, but when you have options to save tax the legal way, why not do it. If you have incurred any of these expenses that save you taxes, show them while filing your returns this year.